Find the secrets needed to finish the daily bounty, Secret Secrets in the Dreaming City. The daily bounties that Petra offers in the Dreaming City are pretty simple, expect for Challenge: Secret Secrets, there’s not much information for players to go off. However, despite the obtuse description, completing Challenge: Secret Secrets is easy. 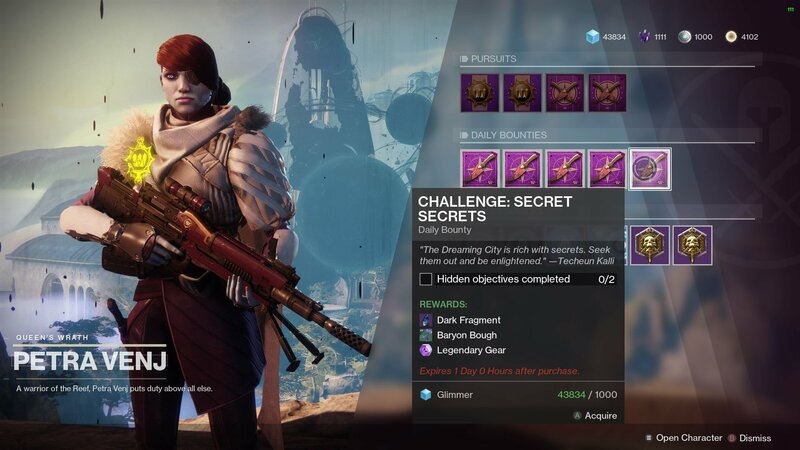 Petra Venj often sells a daily bounty called, Challenge: Secret Secrets, and unfortunately the instructions don’t give away much on how to actually complete it. As it turns out, the daily bounty isn’t too complicated, players must simply find two secrets hidden around the Dreaming City. But what does that mean? The many Ascendant Chests in the Dreaming City count as secrets, so players can take the time to track down all the Ascendant Chests during a week to not only earn some Legendary gear, but also complete the daily bounty Challenge: Secret Secrets. By finding two Ascendant Chests, the "Hidden objectives completed" requirement will be completed. 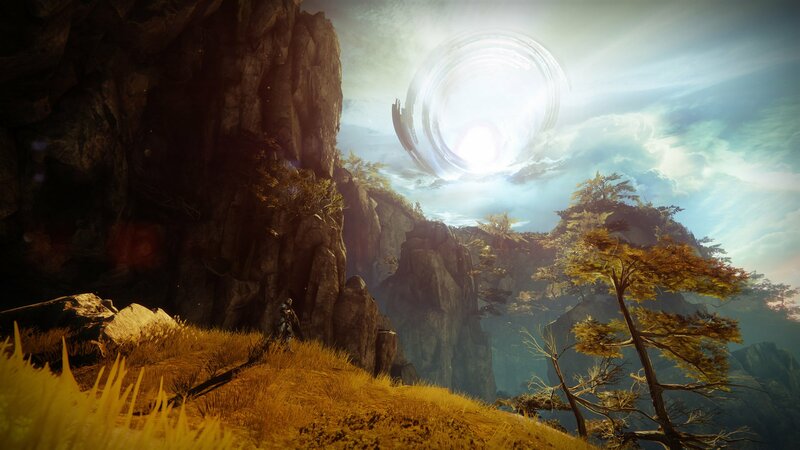 In order to open the Ascendant Chests, players will need to reach them by jumping on hidden platforms that only appear when a Tincture of Queensfoil has been used. Alternatively, if the chest is on the ground or in an easy-to-reach location that doesn’t require the platforms, players can walk up and open it despite the chest being invisible. With the Challenge: Secret Secrets bounty completed, players will be one step closer to completing Petra’s weekly bounty and earning some powerful gear. Be sure to check out the Shacknews Destiny 2 Complete Strategy Guide for more explanations and tips.